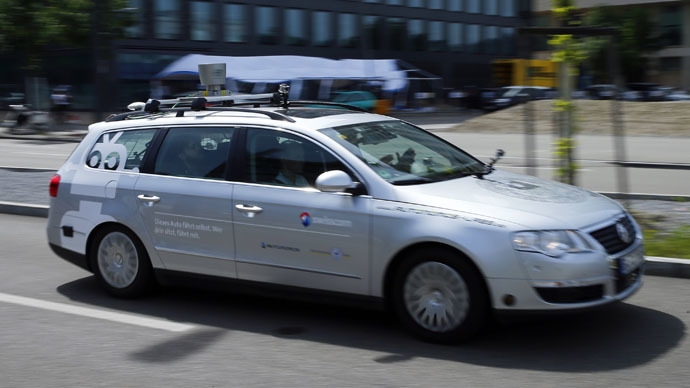 Self-driving cars can now show off their capabilities in Virginia. The commonwealth has opened up 70 miles of roadway for the autonomous vehicles, and the route includes some of its most congested roads. The experiment, which will be overseen by Virginia Tech's Transportation Institute, requires cars to undergo testing before cruising the roads. A human must still be behind the wheel in case of a computer malfunction, The Richmond Times-Dispatch reported. The cars will be allowed on a roughly circular, 70-mile stretch of road dubbed the Virginia Automated Corridors. It includes parts of Interstates 95, 495 and 66, as well as US Routes 29 and 50. The initiative was announced at a meeting of the Intelligent Transportation Society of America in Pittsburgh, Pennsylvania on Monday. The Virginia Department of Transportation (VDOT) and Department of Motor Vehicles are partners in the project. A VDOT spokeswoman said the full extent of the department's role is not yet known, but that it could include making sure lane markings aren't faded, so the cars' sensors can read them. Nokia's HERE GPS system also plays a role in the program, as the company developed precision 3D mapping for the roads. These will allow the vehicles to recognize their lane positioning, while also providing real-time information such as traffic conditions. Part of the test tracks will include 'smart roadways' that can interact with cars by guiding them through traffic signals or by alerting them to approaching emergency vehicles. Virginia is not the only state offering its roads to self-driving cars. California, Nevada, Michigan, Florida and the District of Columbia are doing the same thing – but the Old Dominion State says it has advantages over the others. “Other states are saying you need to prove that independently you can do all this testing. What we are trying to do is show them how to do the testing and how to facilitate the process as well,” said Myra Blanco, director of the Virginia Tech Transportation Institute’s Center for Automated Vehicle Systems. But Virginia's congested roadways, which frequently include traffic jams and lane-closing construction, are expected to be a challenge for the vehicles. The company said on Friday that its self-driving cars have been involved in just 12 accidents while covering 1.7 million miles over the past six years, stressing that the vehicles have never been at fault in those incidents. Blanco shares Google's optimism for the future, envisioning self-driving vehicles that could pick up the elderly or disabled at the mere push of a button, or cars that could even teach teenagers how to drive.